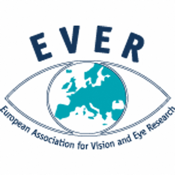 This is the official EVER 2012 HD congress app (European Association for Vision and Eye Research). The application is built to guide you during your visit at the EVER 2012 congress. The congress will be held in, Nice, France. Oct 10 - 13, 2012 at the Acropolis Convention Center. All data is accessible offline, so you don't need a WiFi or 3G network! When there is a network available eventual updates will be loaded.